Samsung took to the stage at IFA Berlin and without wasting much time revealed what their presentation is all about. The headliner for the event was clearly the Note 4 and rightly so. Samsung took the tried and tested formula of the Note series and truly refined the experience to provide what the company calls the ideal phablet. 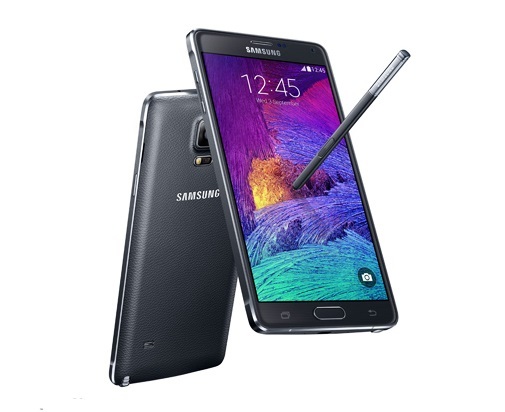 Like the Galaxy Alpha, the Galaxy Note 4 features a metal frame with flat matt sides and beautiful, smooth curved edges. 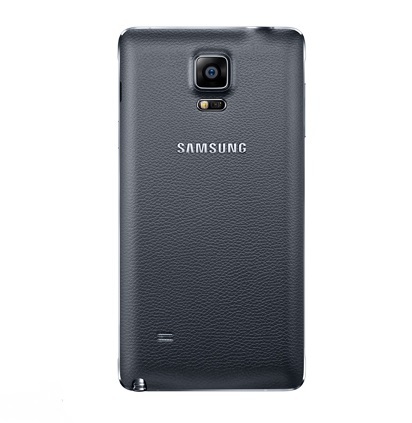 The back of the smartphone however is a soft touch plastic but with no faux leather type stitching. Though many people will complain about the use of plastic on the back, the tradeoff is a removable battery and easy microSD expansion. Previous leaks and rumours have turned out to be mostly accurate. Samsung’s Note 4 comes with the same display size as the Note 3 but this time around we have a quad HD (2560 x 1440) panel instead of a Full HD one meaning the Note 4 has a pixel density of 515 pixels per inch! Though many people argue that such high pixel counts become redundant after a certain point, we are not going to go over that debate here. The Note 4 has what Samsung calls 2.5D glass which is hardened and rises slightly to offer a very subtle and elegant curvature to the device’s edges. 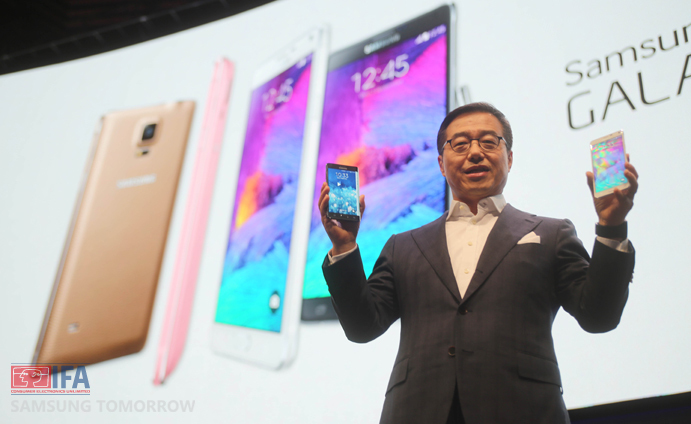 The presentation for the Note 4 was actually divided into four segments, the first of which was multitasking. During the presentation, Samsung’s representatives talked a lot about how the Note 4 is THE device for multitasking and it owes this ability to not only the powerful SoC packed inside but also to the 3GB RAM backing it up. The device will be running on a 2.7 GHz quad core Snapdragon 805 SoC reportedly clocked at 2.5 GHz in American and European markets but will run on one of Samsung’s own octa core Exynos processors in other international markets. Some user interface changes have also been made to allow greater speed and fluidity. One great example of how they made multitasking simpler and easier to access was by adding a multitasking button next to each card in the recent apps menu. This way one needs to simply click the button to instantly open the desired application in multi window. Adding to the functionality, Samsung implemented a feature that allows you to minimize one of the windows into a floating app icon (similar to what we see on Facebook Messenger). The original Note stood out among the sea of Android devices for two reasons, its uncharacteristic 5.3 inch display and the S – Pen. Over the years Samsung has steadily refined the S – Pen to better mimic an actual pen or writing tool and now it looks as if the South Korean tech giant has optimised the hardware and software to utilise the S – Pen as an actual companion rather than an accessory. The new S -Pen is just a hair thinner with a ribbed texture to give better grip but really the improved functionality is what Samsung is trying to preach. Unlike previous iterations, the new S – Pen offers a wider range of motion, allowing you to tilt it to various angles and use it without any issues. There is also greater pressure sensitivity thus giving depth to your writing and sketching. A representative from Mont Blanc was also called on stage to talk about a Mont Blanc pen that could double as a means of input for the Note 4. A highlight feature of the Note 4 is its supposedly spectacular camera. The device comes with a 16 megapixel rear shooter with smart OIS (Optical Image Stabilization) that is not only faster than the previous generation’s but also a better performer in low light conditions. Up front we have a 3.7 megapixel camera with a wide angle, 90 degree f 1.9 lens. The front camera’s wide angle allows more people to fit into a selfie but even if that does not suffice, there is an option to pan the device in order to capture a sort of panoramic selfie up to 120 degrees. Samsung didn’t just end things there as numerous smaller additions were also talked about that contribute to provide an overall better experience. The Note 4 has 3 microphones instead of one and has the ability to record sound from multiple sources simultaneously and play them back individually whilst blocking out ambient noise. 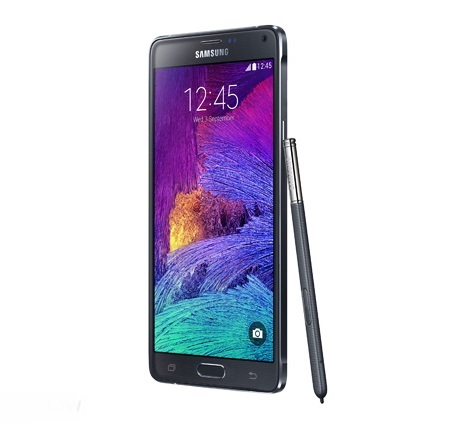 The Note 4 features a slightly larger battery at 3220 mAh versus the 3200 mAh of the Note 3. Normally you would expect battery life to suffer because of the new quad HD display but in this case Samsung has gone through rigorous hardware optimizations to ADD 7.5% more battery life. If that wasn’t enough, the new charging system will allow users to fill up the device to 50% charge in about thirty minutes! If things do get to the worst possible case, the Note 4 also has an ultra power saving mode like the S5 to make sure your phone lasts. Additionally, the Galaxy Note 4 has a heart rate sensor on the back, (that could be used to trigger capturing selfies), a fingerprint sensor, even a UV sensor and of course, an IR blaster. The Galaxy Note 4 will be up for sale in October in most markets and will come in four colours: black, gold, pink, white. Pricing and availability have not yet been revealed. Check out the table below for the specifications. Samsung’s Unpacked event was not just about the Galaxy Note 4, the company at the same presentation unveiled the Galaxy Note Edge and the Gear VR whilst also talking about the earlier announced Gear S smartwatch. Stay tuned to Techetron to learn more about Samsung’s event and get updates on IFA 2014.